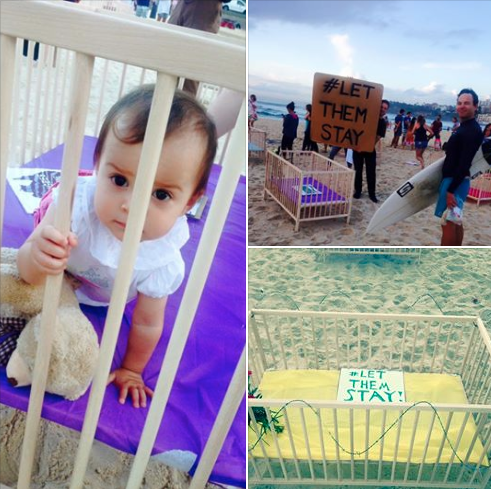 Full creative direction & organisation of a large scale art installation and peaceful protest on Bondi Beach to campaign against the detention of babies in Australia detention centres as part of the #LetThemStay movement. 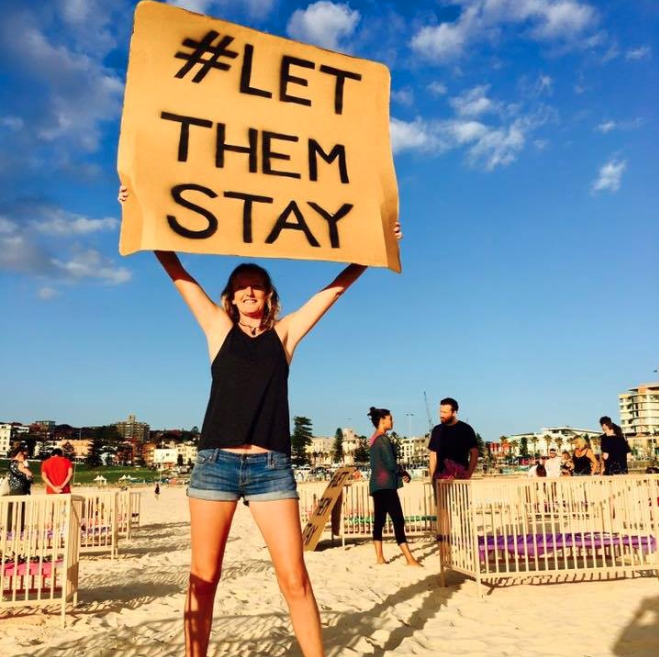 This event involved speakers from leading activism organisations including GetUp! 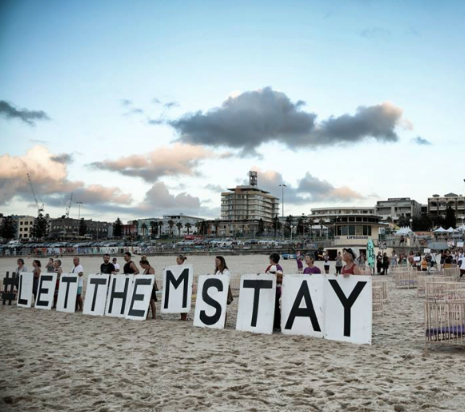 and Amnesty International. Organised at short notice, the event brought together over 200 individuals who gathered to pledge their support. Hundreds more were impacted on the day with the protest reaching hundreds of thousands more through coverage by national television including Channel 7 News and Pedestrian TV as well as gaining coverage in national and international press from Mashable to The Guardian.